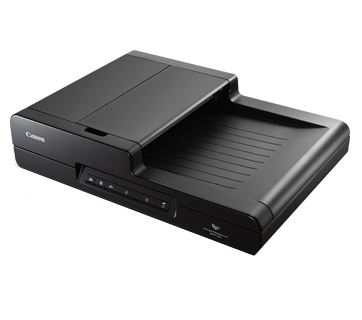 DR-F120 is a highly productive document scanner that supports a variety of paper types. Various document types such as folded, old and damaged documents, and books can be processed by using flatbed. DR-F120 is able to process different types of document at once by both ADF and flatbed, the efficiency of your work will be greatly improved. Perfect your scans with intelligent image processing functions. Common errors such as skewed, misaligned or upside-down documents and blank pages are easily corrected. The DR-F120 also offers advanced text enhancement features for pencil-written and other light text even on patterned backgrounds, to significantly improve legibility in your scanned documents. Achieve superb results with just a single touch of a button using the Full Auto Mode that automatically applies the best settings for each scanned image. Frequent tasks can be made even simpler by assigning them to 3 job buttons on the scanner panel.